Jack: Balayage is a French word meaning “to sweep or to paint”. It allows for a sun-kissed, natural looking hair color similar to what nature gives us as children with softer, less noticeable regrowth lines. The principal idea behind balayage is the ‘less is more’ concept to create soft, natural looks. Balayage mimics how the sun naturally catches the hair and the brightest pieces of color are always placed around the face and ends of the hair. Kristin: Are there certain colors this technique works best with? Jack Howard: Balayage is first and foremost a highlighting technique, so it can be used on blondes, brunettes and redheads. It can be used to add depth to over-lightened and over-processed hair, to add lightness and movement to darker hair and can be also be used in color correction. I love using Balayage to add just a face frame of lightness to soften a look or through the ends of the hair to add that “riviera” feel. The options are limitless because of the way in which each piece is painted onto the hair. Kristin: Does the texture of your hair matter? Jack Howard: Because Balayage works with your natural hair growth and pattern, it can be used on all hair textures.If the hair is extremely curly, I might just smooth the curl out with a brush a little before my application. To be honest, I love the finished style with some waves or curls as I think it looks more glamorous than bolt straight. Kristin: What hair cuts/styles work best with this coloring technique? Jack Howard: I always like to talk to the stylists about what they are going to do as Balayage placement is always dictated by the cut whether it be short medium or long. Kristin: Do most stylists know the Balayage coloring technique? Jack Howard: Here in England I was surprised to find that not many people were using the technique but that is changing as consumers are rejecting hundreds of perfectly place foils and asking for something more natural. I have had many requests for my one-day class The Art of Hair-Painting here in the UK. In the USA where I taught Balayage for L’oreal professional, Balayage is very popular as it is in France, Australia and Italy as well. 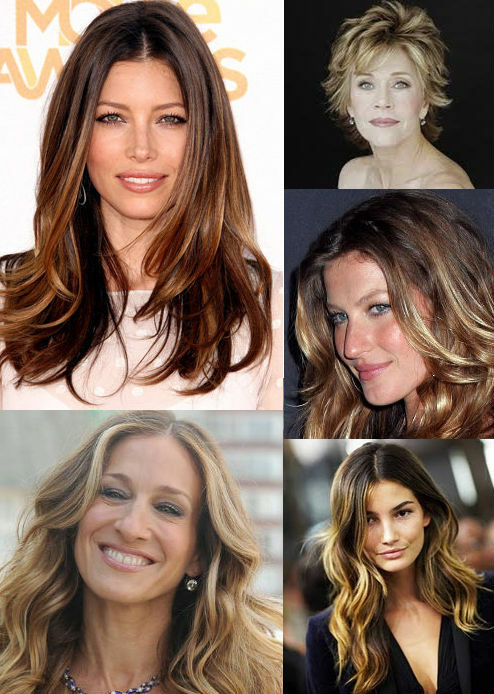 Kristin: What is the difference between Balayage and Ombre? Jack Howard: Ombre refers to the dark roots/light ends effect and Balayage is a delicate highlight at the root, going thicker towards the ends. The combination of the progressive highlight gives a stunning result. Jack’s Tip: The trick with Balayage is to find a technician who has a good eye that understands your haircut, hair movement and the way you wear your hair. The best results are when the placement is perfectly tailored for the individual …not hundreds of foils all looking the same. Balyage is personalized to the individual and when placed to perfection will give you the best look for your hair. For more Balayage and Ombre tips from Jack, check out this post on his blog. About Jack: Jack Howard SRH is an international hair colorist and Balayage expert. His career has led him from London to Washington DC, from Paris to New York and from L.A. to San Francisco teaching The Art of Hair Painting. His work has been featured in Modern Salon, The Hairdresser, Cult-Beauty, Red Online and GlamUK to name a few. He is now the resident color expert for Stylebible, the original luxury international lifestyle directory. Learn more about Jack and his expertise by visiting his website and blog. Find him on Facebook and Twitter too! Do you have a Balayage question for Jack?